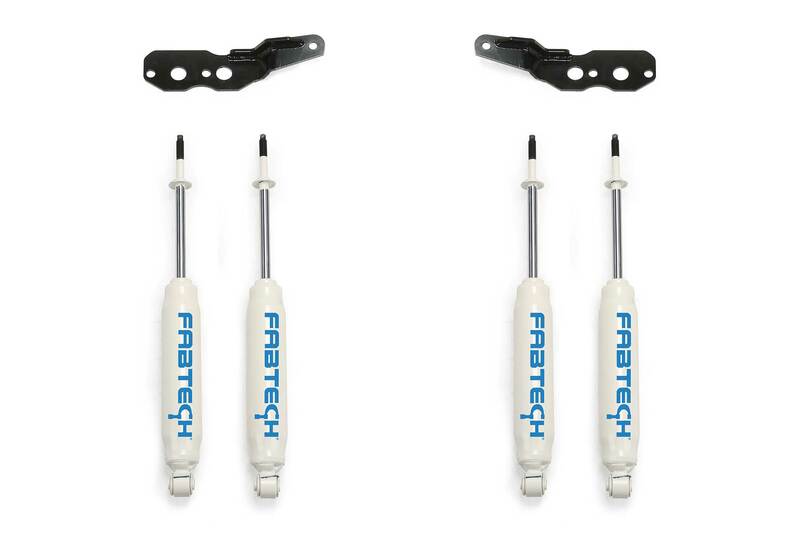 Increase the front suspension damping capacity on GM 2500 & 3500 HD’s with Fabtech’s Dual Shock system. 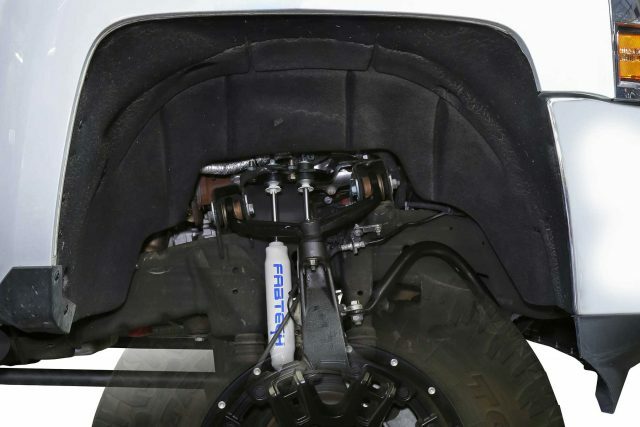 This system is designed to be installed exclusively with a Fabtech 6″ RTS&REG; system for a total suspension upgrade. This newly designed shock system utilizes 1/4″ thick steel frame brackets for the upper mounting end of the shocks without having to cut the factory inner fenderwell for installation. The lower shock mounts are incorporated into the Fabtech 6″ RTS&REG; system for a fast install. The Dual Shock System is compatible with both Gas and Diesel model HD’s with 6″ RTS&REG; systems and comes finished in black powder coat. 76. Requires installation of 6″ RTS&REG; System.